Plenty of questions and speculation this week about what is happening at QVM. One trader said he might just have to book a One-On-One meeting to find out. Speaking of One-On-One meetings - another trader has suggested that CoM representatives should be at meetings so that issues that the City controls like vehicle parking and The Trader Support Scheme can be addressed on the spot. Decision to close the M Shed box storage facilities has gained a mix of reactions. Traders who use that facility will now have to make alternative arrangements. The assumption is that the storage space will be needed to accommodate traders as we all squeeze into E-M Sheds. A couple of traders are wondering why we didn’t get a reason in the official letter. The debate between traders over various sports is continuous. One trader suggested that wheel chair tennis was more exciting than soccer. For us they are both great. A trader suggested this week that his best technique for responding to ridiculous price offers was to offer one cent off, but do that in a very serious and considered way. 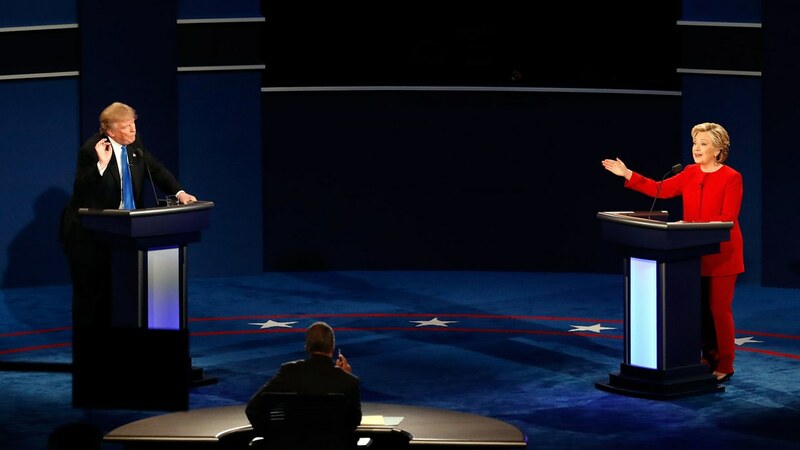 He said surprisingly that often breaks the ice for a serious price negotiation. More on box storage with one trader suggesting the vacant space at the back of his stall may now have some value for traders displaced from the String Bean Alley facility. He is looking for offers. 1. Priceline issues profit warning. 2. Rebel Sport and Spendless Shoes top customer ratings. 3. Kogan and others report record Christmas online sales. 4. JB HiFi enters top 250 global retailers list joining Wesfarmers and Woolworths. 5. Max Brenner to expand chocolate shops in Australia. 6. Amazon opens its store with no cashier. 7. Kathmandu predicts profit rise. 8. Michael Hill exits US market. 9. US burger chain, Carl’s Jr, to open 30 stores in Victoria. 10. Australian wine exports to China soar. 11. Unilever joins push to reduce package waste. 12. French supermarket giant, Carrefour, to spend billions on digital transformation. 13. Litigation funder pulls out of Woolworths class action. One of our Specialty Traders is taking advantage of the new year to trial a smaller stall set-up and he has already learned some important lessons. 1. He hasn’t changed his stall setup in 5 or 6 years and he figures that retailing has changed a lot in that time. He needs to re-think display needs, storage requirements, stock levels, customer access, profit margins, operating costs, and so on. 2. As a Specialty Trader in the top end of QVM he spends a big chunk of his time (up to 4 hours per day) just setting up and packing up. Maybe that time can be reduced. 3. The market is about to go through a relocation process with some new stall options coming up including the New Market Pavilion and possibly more containers in String Bean Alley. This trader wants to know what he would need to do to accommodate different trading spaces. 4. There may be an opportunity to reduce costs. 5. There may be opportunities to expand trading - less time setting up and packing up may allow more trading days. This trader occupies a standard double stall on the deep side of K Shed (Stall area around 5 metres of frontage and 7 metres of depth. The stall is a walk-in and he uses 6 tables for display and pretty much uses the whole stall including space for two storage boxes. His downsized stall uses the full 5 metres of frontage but only 3 display tables, all positioned at the front. He is using around half the stall space for this configuration. He has selected only his best selling or most profitable lines for display on his new setup and introduced multi-tier shelving. Here are some of the things he learned on his first trading day, a Saturday. 1. The shallower stall enhances customer contact. There is nothing like being a couple of metres from your customer all the time. It makes, eye-contact, observation, and discussion more acute and more productive. 2. Concentrating on the “good performing lines” and leaving out the “lesser performing lines” made him realise that he had too much poor stock. Chasing sales over recent years meant filling holes with under performing stock - too many experiments gone wrong. 3. The time saved in setting up and packing up was dramatic and he expects to halve the time spent in those activities. 4. Customers seemed to like the accessibility to stock without having to enter a stall. One customer did complain bitterly. He was a regular, in a wheelchair, who loved being able to get close to products at table level. The new multi-tiered shelving didn’t suit him. 5. Less to set up translated to better displays - quality not quantity. The Result??? – The trader described his day’s takings as normal. Given he had much less stock on display, he was very happy with that result. He says he will need to trade around 10-15 days with the new configuration to work out whether he is on to a new way of operating. Maintaining takings with less stock and less effort is a positive. The potential to refocus his product range and perhaps find more opportunities to trade adds a whole new impetus to trading in difficult times. More to come for this trader. Famfest will be hosting its third annual Lantern Festival – Yun Xiao Jie at Queen Victoria Market in March. Celebrate the Lunar New Year at Melbourne's iconic Queen Victoria Market. Twosix Wellness are bringing a month of free yoga to Queen Vic Market. of the traditional owners,'' a statement from Wurundjeri Council has said. “Wurundjeri Council are now opposing the current plans for the development of the Queen Victoria Market, which we collectively fear will disturb the burial ground.” Much of the market is on the site of the Old Melbourne Cemetery. I am not moving stalls in the upcoming relocation at QVM but I booked a one-on-one meeting firstly so I could tell traders what it was all about, and secondly because I had something I wanted to start a conversation with management about. The meeting covered the background to renewal, the need for relocation, the impact on traders, the work that has been done to squeeze everybody in to a smaller trading area, a likely timetable, and particularly the impact on my business. I am not required to relocate my stall in K Shed so I am a bit of a spectator to the whole process although the creation of a full and busy market between J and M sheds will hopefully be something to look forward to. Traders who move will obviously be impacted, particularly those with multiple stalls who may be required to give up some space so all traders can be accommodated. All aspects of stall allocation are being considered including corner stalls, above or below the centre-way, stall size, competitor’s location, and so on. It is possible that the 5 stall rule will be compromised in some instances. It was made clear that no firm commitments need to be made in this initial meeting. There will be time to consider options and work through issues in subsequent meetings. It was pointed out that “not liking a spot” was probably not sufficient grounds for getting another meeting although technical issues with relocation that had not been envisaged by relocation staff will be addressed. The timetable for moves and particularly the trading options in the New Market Pavilion and String Bean Alley (more containers?) remain unclear as we await official approval on commencement of construction. However, we have been assured that all traders will have equal opportunity to apply for the newly created stalls in those areas once the process starts. It has already been stated that the NMP will have a theme of Australian Made and Fresh & Seasonal. These one-on-one meetings are essentially to manage stall relocations however it was indicated during the booking process that other issues may be considered. I took the opportunity to talk about plans for my business in 2018 and the co-operation I would be seeking from management to achieve those plans. These were noted and will form the basis for further discussion. Previous one-on-one meetings were reviewed favourably by traders as an opportunity for personalising our involvement at the market. These meetings should produce the same opportunity. Bookings can be made at https://calendly.com/relocations This first week has been a trial but by the time you read this article you should be able to make bookings through the whole of February. A survey concerning trader attitudes to renewal is being conducted by market research experts EY Sweeney and each trader will have received a personalised email seeking their participation. Some traders haven’t yet responded. The survey will identify areas of concern for traders and be used to measure whether those areas are being adequately addressed as we progress through the renewal. Essentially, it is important to measure trader responses to know whether the right actions are being taken. You cannot manage what you don’t measure. 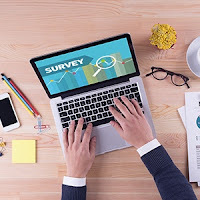 The survey takes less than 10 minutes to complete and could help the whole trader community to receive better responses and more appropriate actions from the renewal team. Reminders will shortly be emailed out and you are asked to respond if you haven't already done so. Because of the confidential nature of the survey we are unable to give you a link here. You can only respond through your personalised email. Any questions can be directed to Natasa on 0402 216 858. 28/01/2018 19:53:27 EY Sweeney Survey "10 minutes? Recycling, reducing waste, and banning plastic are all movements that have been around for a while and get strong public support but the involvement of some big retail players has just upped the stakes. In the last week both McDonalds and Coca Cola have made some significant statements about their intent to become waste neutral. QVM has played its own part in the past with a number of recycling and waste minimising strategies including the promotion of biodegradable plastic bags. However a casual observation of our customers leaves the impression that we are still a major polluter. Cheap plastic bags that show up in streets, land fill, and oceans are a common sight in QVM aisles. Mc Donalds have said that within 10 years 100 percent of guest packaging (wrappers, cups, and other packaging) will come from renewable, recycled, or certified sources. In addition they will recycle all packaging by 2025, and ban all foam products by the end of 2018. "Our customers have told us that packaging waste is the top environmental issue they would like us to address. Our ambition is to make changes our customers want and to use less packaging, sourced responsibly and designed to be taken care of after use." 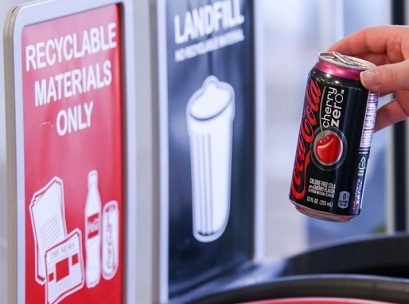 Coca Cola aims to collect and recycle 100% of its packaging by 2030. They call it their World Without Waste vision. “Companies like ours must be leaders. Consumers around the world care about our planet, and they want and expect companies to take action. That’s exactly what we’re going to do, and we invite others to join us on this critical journey.” said a Coca Cola spokesperson. And it is not just retailers and beverage suppliers who are on the social responsibility bandwagon. An article in the business section of the Age last week questioned the old concept of “share holder value”, or more specifically “shareholder value at any cost”. The CEO of the world’s biggest funds manager said last week - "Society is demanding that companies, both public and private, serve a social purpose.” "To prosper over time, every company must not only deliver financial performance, but also show how it makes a positive contribution to society." This is a significant change in the mindset of corporations and clearly a response to changing society standards. Plastic bags are nice and cheap but they also pollute and the profit motive no longer stands alone. There are alternatives to polluting plastic bags and every trader needs to consider their use. The next time you hand a plastic bag to your customer and they frown you will know why. And you may have just given them another reason to shop elsewhere. Measuring Customer Interest In Your Business – one trader pointed out from the last marketing email that traders can now get viewing data on their QVM website entry. How many people visit your stall’s page, where they come from, what they did on your page, and what action they took - all interesting stuff. One On One Meetings – a trader asked Peter Shepheard how he would know if he was going to be affected by the transition moves during construction. Peter suggested that the best way would be to book a meeting and the feedback would identify any necessary action. One On One Meetings - a trader is asking how we can evaluate future options when we don’t know when the New Pavilion is coming online or what is happening in String Bean Alley. 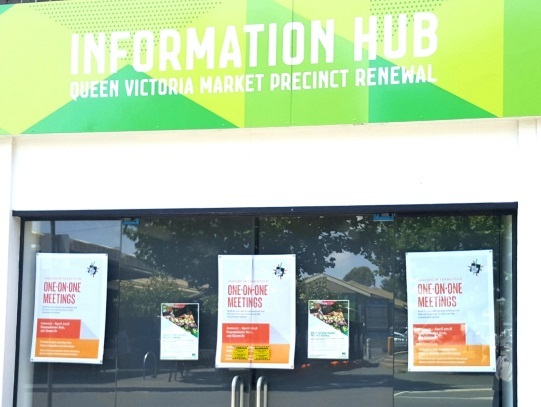 Hot Weather – Friday’s extreme heat resulted in a “half empty market” according to one trader with another on the centre way saying they had an un-interrupted view down to the toilet block on Queen St. due to trader absences. Once again some traders reported that business was OK despite the heat. Others said they would know better next time extreme weather was predicted. Hot Weather 2 - we all know that under the hot tin roof at QVM can add a few degrees to the temperature but as one trader pointed out, share a thought for the owners and workers in our hot food cafes under these conditions. 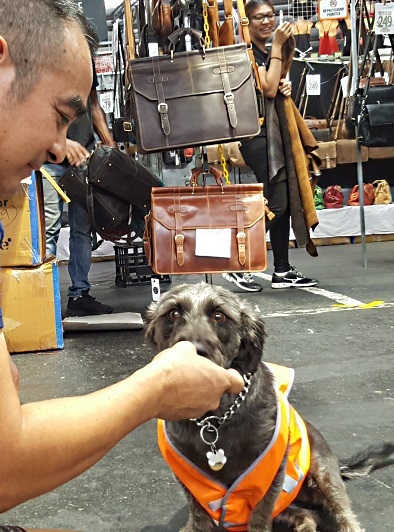 Rules are rules – our photo shows the new employee at JLP’s stall. Our pooch (sorry we don’t know his/her name yet) is apparently combination guard dog and food scrap cleaner. We notice he is wearing a safety vest and abiding by market rules like all JLP employees. We can also confirm he/she is very friendly. 22/1/2018 Please Note: A trial of the One-On-One meetings will be conducted this week and there may be some restrictions to online bookings while the trial is in operation. At the time of writing you can still make a booking for this week but not for the following weeks. The Queen Victoria market is much photographed from night time shots of a pumping vibrant gathering of thousands of customers to the raw silence of majestic empty trading sheds at non-trading times. And then of course there is the huge variety of people who visit and work at our market and the historical photos that show our transition over 140 years. 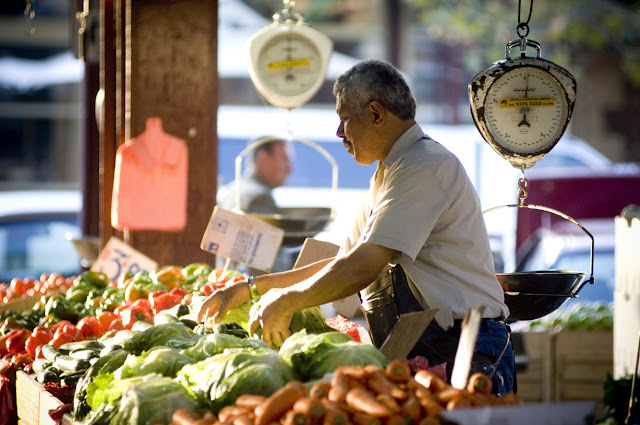 What is your favourite photograph of the market? The photograph at the top is a favourite. It shows a contemplative trader surrounded by his wares in an artistic combination of light and colour. We would love to see your favourite photo. Please send them to us with a brief description of why you like them. You can either email or MMS to 0406222020. And if nothing comes to mind, why not take a photo right now of something you like about our market and send it to us. Trading In Transition is the theme of this round of trader meetings which have been eagerly anticipated by traders, particularly those who will be moved from A-D sheds to make way for construction. The meetings will commence early February. An opportunity to gain some clarity on our immediate future is most welcome. We don’t have detail of the content of these meetings but we have some information and some trader observations. 1. Every trader should book a meeting even those who do not expect to be moved. Traders who will not be moved will be advised as part of the process. 2. A lot of work has been done by management on the possibility of changes. Those who attended a trader briefing late last year will remember Brendan Devine presenting an elaborate colour coded wall chart showing many different trader scenarios. Months of work have gone into all the possible permutations and the likely impact on traders. It will be interesting to see if management staff and trader expectations align. 3. These are likely to be “first of” meetings for a number of traders as they work through options. 4. It is unlikely that all trader options will be on the table for discussion e.g. the date for the New Pavilion has not been set. Will we have new options in String Bean Alley? 5. This could be a good opportunity for traders to present their preferences on a variety of trading options. Please Note: A trial of the One-On-One meetings will be conducted this week and there may be some restrictions to online bookings while the trial is in operation. At the time of writing you can still make a booking for this week but not for the following weeks. 1. Luxury group Kering (Saint Laurent, Gucci) to spin off Puma brand. 2. South Africa’s Woolworths Group down-values its investment in David Jones. 3. Darrell Lea purchased for $200m. 4. ARA says plan to extend gift card expiry to 3 years will harm industry. 5. Myer snaps up brands Lanvin, Victoria Beckham, while David Jones goes for Kate Sylvester. 6. Nestle sells its US candy business to Italy’s Ferrero for around $US2.9 billion in cash. 7. 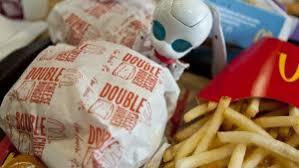 McDonalds to remove all foam packaging by end 2018. 8. UK’s Costa Coffee reveals sales decline due smaller crowds on UK high streets. 9. Knitted wool sneakers are the latest sports shoe innovation. 10. Myer restructures management, cuts support staff. 11. Aussie retailers amongst the slowest to embrace e-commerce. Last week’s Big Retail Show in New York drew much attention from commentators and participants in this incredibly volatile retail industry. Here are some snippets that caught our eye. Volatility Is The New Norm - Former vice chair of General Electric, Beth Comstock - “Transformation means you’re never done. Volatility is the new normal,” …… She said that while retailers may be tempted to put everything on hold, while they “figure this one thing out”, that’s not an option anymore. Retailers need to become comfortable with many parts of the business changing all at once. Levi’s president, James Curleigh, discussed the company’s move to find points of strategic balance between delivering the expected (having products in store, providing a level of service) and surprising customers with the unexpected; between leveraging the brand’s heritage and acquiring new customers through innovation. Moderating a panel of ‘next-generation’ entrepreneurs, Rachel Schechtman, the founder and CEO of innovative revolving concept store, STORY, asked what it takes to create a successful brand or retail business today.According to the participants, Manish Vora, co-founder of the ‘playground for adults’ concept, Museum of Ice Cream, Michael Lastoria, co-founder of the food and lifestyle chain, &pizza, and Marcia Kilgore, founder of luxury beauty club, Beauty Pie, the best ideas combine the head and the heart, a bit of logic and magic and sometimes a little weird. Continuing with the trend that, far from dying, retail is flourishing, albeit changing, the final keynote at the NRF Big Show featured iconic fashion designer Tommy Hilfiger speaking with IBM’s Michelle Peluso about technology and transformation at the iconic fashion label. Tommy Hilfiger was an early adopter of the see now, buy now trend in fashion and the first retailer to partner with Facebook Messenger on chatbots. The brand has embraced mobile shopping, such as ‘snap to shop’, and influencer marketing, striking advantageous partnerships with the likes of Gigi Hadid. What is the big debate at QVM? Ok, there are a few, but this one is gaining momentum. - "How much of our success relies on QVM dragging customers to our stalls, and how much relies on traders reaching out to customers with modern technology including websites and social media?" In the past traders have been part of an incredibly efficient retailing model - set up a display and feed off passing customer traffic. The rigors of running a small business efficiently have been conveniently encapsulated around as little as 5 or 6 hours of trading 5 days per week with the rest of our time taken up with stock procurement, preparation, bookwork, and so on. There are traders who say this is the only way we can operate profitably. We simply don’t have time to add on all that online stuff, and really, if QVM just brought us more customers everything would be fine. And there is the problem. Bringing MORE customers is incredibly hard because customers have found alternatives to walking past our stalls. They have found retailers happy to open more than 6 hours, they have found retailers happy to allow them to shop online and then deliver to their home, or workplace. They have found retailers who will communicate with them, anyplace and anytime, offer huge ranges of produce, and bend over backwards to get their business. Attracting crowds will always be a primary function of QVM as well as adapting our offer so that it meets changing consumer demand (for example more food and entertainment), and making it easier for consumers to find what they want. Analysing consumer data is a key function for QVM. The recent discovery that we are getting half the number of regional and interstate customers to our market opens up a great avenue for improving attendance. But this is all against a backdrop of rising competition, and general retail decline. We cannot expect miracles. So what about trader websites and social media engagement? Many traders are finding that maintaining a website and social media engagement can be productive. The capacity for social media to go “viral” means that it is all about lighting the spark that will get your business out there. Good feedback on your business generates more business. 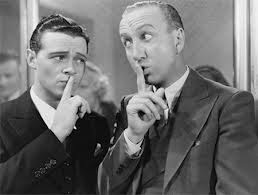 The secret is to find ways that generate news about you without having to spend a lot of money or effort. And here is another problem. This process does require effort, especially in the early learning phases. We have been guilty of over simplifying the adoption of online and social media on this website. For many it is a steep learning curve. But it can start with an entry on the QVM website, a product photo on Instagram, or a Facebook page, and there are endless opportunities to be creative with your promotion at comparatively little cost. So what is the answer to “How much of our success relies on QVM dragging customers to our stalls, and how much relies on traders reaching out to customers with modern technology including websites and social media?” Obviously both are critical and both require 100% effort. If traders think they can put their feet up and handball customer engagement to someone else, forget it. If management think they can place all the responsibility for customer attraction on traders, forget it. Like many things we do at QVM this requires management and traders working together, although, without being alarmist, recent sales trends in many categories suggest that window of opportunity is rapidly closing. When you think of retail staples you think of food and clothing, right? At QVM we have a very impressive food offer but our clothing offer is questionable and that may be a drag on the performance of the whole market. There are some clothing categories that we do very well and knitwear, coats, socks, belts and sports shoes all come to mind. But if you were reviewing your total wardrobe, would you come to QVM? Our female fashion range has been accused of being one dimensional (the same offer repeated) and our male offer almost not existent. And it is not just the variety of offer but also the services that clothing retailers offer these days – try before you buy, comfortable and private changing rooms, fitting services, and no-cost returns. These are all services that make it easier for a customer to commit in the flaky world that is fashion. “Will I look good in that?” “Can I change my mind if it doesn’t look good?” The new breed of retailer – H&M, Uniqlo, Zara - accommodate these questions. Try returning something at QVM without a good excuse. Of course our dilemma is not unique. 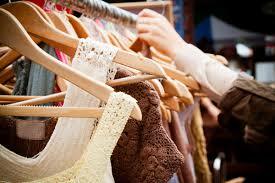 Independent fashion retailers are falling like flies out in the wider retail world. The question of offering excellence in service (fitting rooms, alterations, returns) is manageable by forward thinking traders but assembling a group of traders with a variety of attractive offers is a recruiters nightmare. If you are a QVM clothing trader we would like your input. 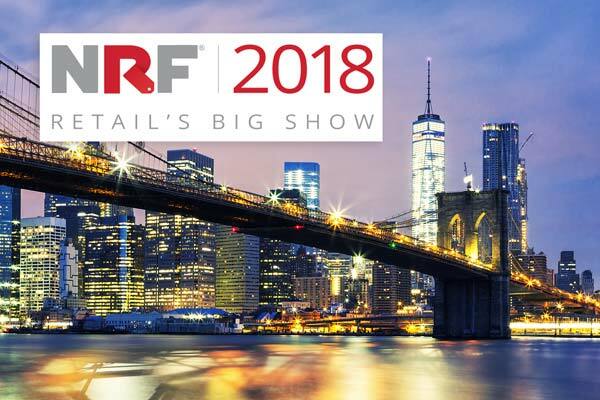 This week’s Big Retail Show In New York is described as the worlds most important retail conference bringing major retail players from across the globe together - the likes of General Electric, Tommy Hilfiger, Alibaba, EBay, Myer, Macy’s, Woolworths, Coles, and so on. And more than ever this year the emphasis has been on technology - technology that makes it more efficient for retailers to track and predict stock levels and technology that helps transform the customer experience, essentially by making it more convenient. Much of the technology would appear to have little relevance to market traders. There are the cameras that follows the customers eyes to see which products they look at, watches as they pick up the product, and then records whether they take it or put it back. 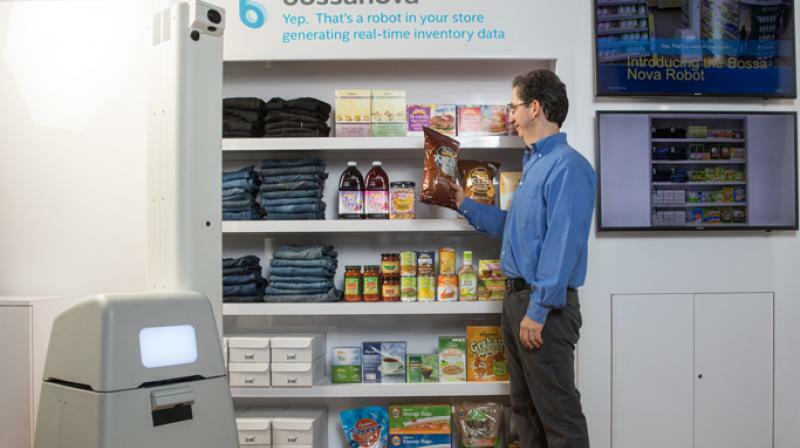 There are the robots that scan shelves to keep track of stock levels because that is something that humans don’t do very well. There are the data collection systems that enable retailers to track what their customers have bought and using that information to offer them new purchases. Your local supermarket probably does that already. Of course it could be argued that market traders who closely watch their customers in their stalls are able to do some of those things manually. Assisting customers to find what they want in store is a major focus for global retailers and that has particular relevance for a traditional sprawling complex like QVM. Linking trader details on the QVM website with real-time trader locations (and map directions) is a current focus for our management team. But the underlying philosophy for many of the major players at The Big Retail Show was quite clear - it is all about providing the best customer service, no matter where the customer is, and delivering the products to the customer, anywhere at any time. Inc.com is fast becoming my favourite magazine website and this article has great relevance to retailing. It concerns Angela Ahrendts who is Senior Vice President of Retail Strategy at Apple, a job she got after successfully steering a turnaround for luxury fashion brand Burberry. Earlier in her career Angela had been sent to an executive coach to tone down her demeanour. 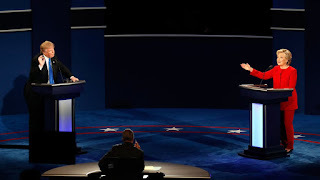 Apparently she was prone to using her hands for talking (I can think of a few traders who do that) and that was considered unsuitable for upper executive levels. Angela was very uncomfortable with the coaching and left the session early with a great quote borrowing from Shakespeare - “So, I just think, that to thyself be true.” She figured that she had got along fine just being herself so why change. The lesson is clear and the relevance for retailing is compelling. We wrote recently on this website about the importance of personable, friendly relationships with your customers. Personal relationships are a significant advantage for small retailers particularly as a counter to the impersonal online world. Being yourself, being authentic, and perhaps waving your hands around can be a big plus - don’t hold back (but make sure you show your better self). Is This Where The Retail Future Lies?